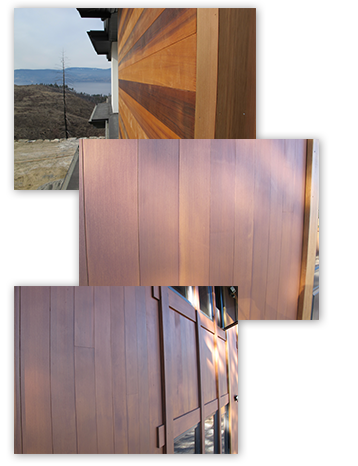 Composition and Materials: Dolly Varden Tongue and Groove cedar panels are composed of genuine Western Red Cedar and fir bonded with exterior adhesives (under pressure) into an exclusive 7-ply engineered panel. The bonding method of full surface gluing meets the weather test and other requirements for exterior siding as specified under U.S. PS 1-09. Insulation values up to R 1.65 are superior to other siding products. Finishes: Manufactured in laminated natural Western Red Cedar. Products may be sealed or stained in the field, or factory pre-finished. 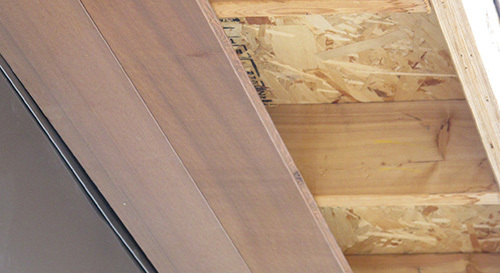 Basic Uses: For exterior paneling on walls or soffits. For interior walls or ceilings. Limitations: May not be used as a substitute for shear panel, although may be used over shear panels. Nails: Use of proper nails is important. For exterior applications use a non-corrosive fastener; stainless steel, hot-dipped galvanized or aluminum. 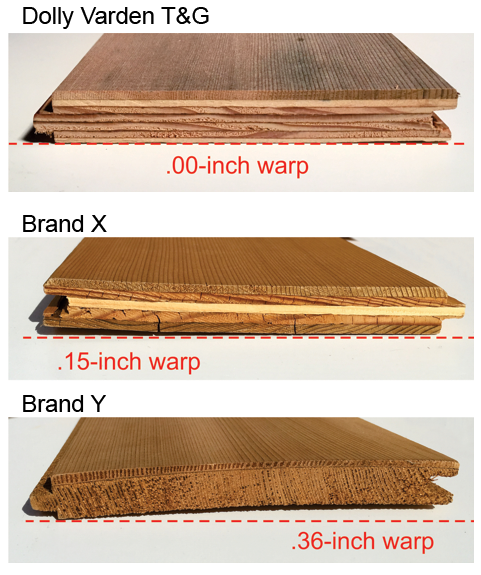 Fasteners must be of sufficient length to penetrate into nailable wood, a minimum of 1-1/4”. A stainless 6d splitless siding nail is preferred. Walls: Approved WUI 12-7A-1 over minimum OSB sheathing. Soffits: Approved WUI 12-7A-3 direct to trusses. Dolly Varden T&G, Direct to Soffit, WUI Listed! Shakertown's Dolly Varden T&G can be applied direct to soffit joists in California's High Fire Severity Zone. The only product of its type to pass this tough test standard. Reduce your costs because there is no need for gyp-board, other materials or added labor. 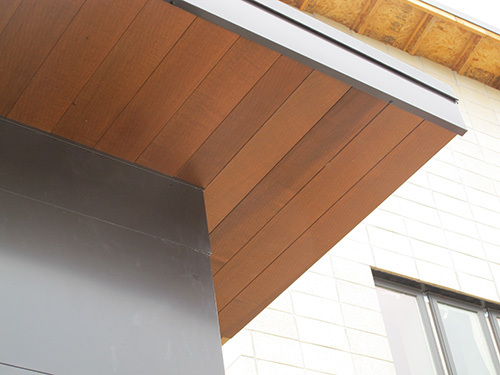 The clear vertical grain western red cedar face makes this product perfect for exterior walls, soffits, ceilings and interior walls. See our Building Code Approval list to review the specifics.